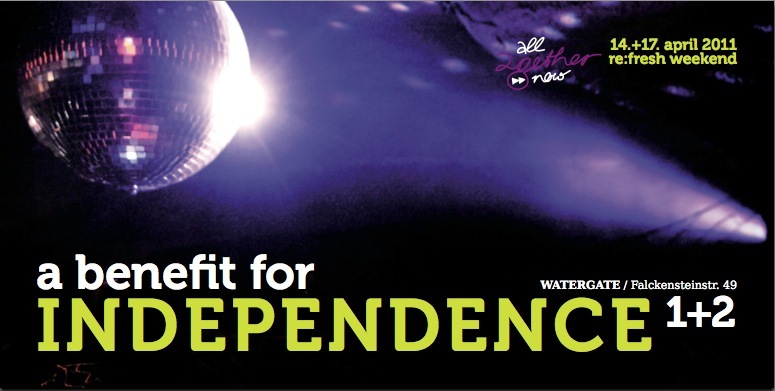 The way forward for all2gethernow means hard work – but party too. After organizing two major conventions in Berlin 2009 and 2010, a2n has decided to begin the new year with a new concept. a2n should remain independent, be experimental and remain open for new ways and partnerships. In result of these changes, all2gethernow will cooperate this coming November with electronic music festival BerMuDa and is in discussions with other music conferences in both Germany and abroad, using this established platform to intensify the ongoing exchange of knowledge within the music community. The first foray into this new concept started with a collaborative workshop at Transmediale aund will be continued in the framework of the digital culture conference re:publica where on April 14 a2n will be holding a workshop. On the 15th and 17th of April two evening events will take place at the BerMuDa-epicenter, namely the legendary club Watergate on the Spree waterfront in Kreuzberg. Aside from artist fees, all proceeds will go to the non-profit organisation all2gethernow e.V. to help finance further events. The 15th of April starts with a label night from Hamburg based outfit A U D I O L I T H Records. The reputable Hamburg outfit will present live acts as well DJs to kick off yet another great party weekend for the capital. On Sunday April 17th Californian artist Will Wiesenfeld aka B A T H S (US) will headline – an Anticon artist that has seen much hype this year among others from the online music bible Pitchfork. In addition local faves the analog knob twisters Ampl:tude with music from their new album, followed by the two Finnish- now Berliner DJs and music producers: DJ Limping Boy (Helsinki / Bln) // aka Jonas Verwijnen and DJ Ville Haimala (Helsinki / Bln) // 1/2 of the Finnish duo Renaissance Man. Tickets will be available shortly and shall be in the region of EUR 8,00 for both events.